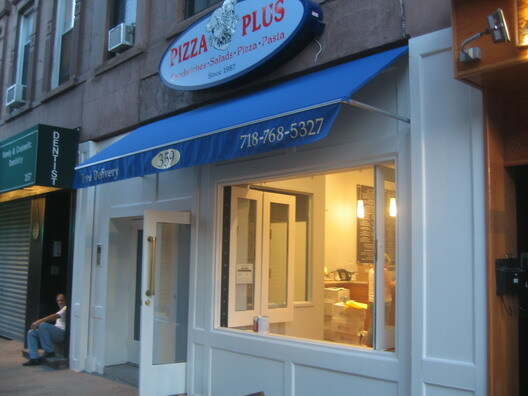 We're especially happy to run this item, because it concerns Pizza Plus, the little Seventh Avenue pizza place that was devastated by a bad fire in May that also displaced residents upstairs. As you can see in the photo above, Pizza Plus is almost back. It's been a long haul, but the restaurant has gotten a top-to-bottom remodeling and looks like it's set to reopen very, very soon. Welcome back!!! Ah, soon life will be back to normal then. I'll have small continental please.